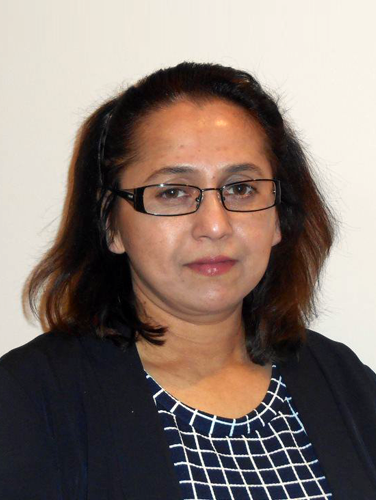 Mazeda-Tahmeen – Rocsol Technologies Inc.
Dr. Mazeda Tahmeen has been working at Rocsol Technologies Inc. since 2014. She was a Postdoctoral Fellow, Research Associate and Teaching Instructor at the Schulich School of Engineering, University of Calgary for 8 years. Dr. Tahmeen has been working on the research and development of drilling optimization technologies and data analytics since 2006. She specializes in modeling and simulation analysis of multidisciplinary systems engineering. Dr. Tahmeen received her Bachelor of Science in Mechanical Engineering from the Bangladesh University of Engineering and Technology (BUET) and a Masters (MSc) in Mechanical Engineering and a PhD in Mechanical Engineering from Gifu University, Japan. She has authored and co-authored numerous journal and conference publications and technical reports and is an active professional member of the Association of Professional Engineers and Geoscientists of Alberta (APEGA).